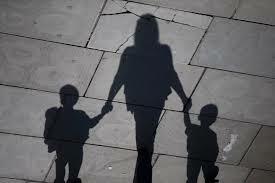 Abuse victims are encouraged by everyone to leave their abusers for their own safety, and the safety of their kids. During their divorces, however, they are told they must give partial, or sometimes even full-custody of their kids to their abuser. Like these women,* I also had to fight my abuser in court for custody of my kids. Click here for my story. After a year and a half of divorce proceedings, my abuser received week-on, week-off parenting time, and we were told we should “co-parent,” and have joint decision-making for our kids. When the judge (a woman!) gave this ruling, I cried harder than I ever have before or since. I was shocked that any judge, particularly a woman, would make such a ridiculous ruling. If I could “co-parent” with my abuser, I wouldn’t have needed a restraining order and a divorce! This is a topic I am very passionate about. Here are the many other blogs I’ve written about how the court system (mis)manages DV cases. This situation burns me up. Recently, DomesticShelters.org wrote an article about this situation, and what is being done to change this lunacy. In 2013, the Department of Justice’s Office on Violence Against Women, in partnership with the National Council of Juvenile and Family Court Judges, funded a two-year initiative called the Family Court Enhancement Project (FCEP). FCEP selected four court systems across the country to review how custody related issues are dealt with when domestic violence is present, and how things can be improved. The four courts selected were the Circuit Court of Cook County in Chicago, Ill.; Family Court of the State of Delaware; Hennepin County Family Justice Center in Minneapolis, Minn.; and Multnomah County Family Court in Portland, Ore.
Changing rules so the survivor doesn’t have to sit with her abuser. Providing sufficient staff to help them. Cook County’s Domestic Violence Division has already started making changes, like creating an “Expediter” position. The Expediter helps survivors explore safe parenting plans. Cook County created this job, “so that a parent can get help understanding what information a judicial officer needs to make a good, and safe, decision” says Hirsch. Before any court involved in the FCEP decided on changes they wanted to make, Hirsch says they had community-wide meetings that included court staff, judges, legal aid attorneys, victim advocates and other community partners to discuss the current practices and decide how best to make system improvements. FCEP’s goal is to share these lessons and best practices with courts and communities across the country. To help accomplish this, a website of best practices is being created, and will go live sometime in 2017. “Lessons learned and best practices will be designed to be adjusted and adapted to whatever county you work within,” says Hirsch. Eryn Jane Branch, overseer of the FCEP, says she believes many court systems nationwide will adopt elements of the project’s work quickly. She says making these changes in a court system is a huge project, but she is hopeful courts around the country will be interested in creating a safe place for survivors and their children. Click here to listen to the webinar given at the conclusion of the study done in Cook, County, Illinois. Question: What is YOUR experience in Family Court? Did they judge your case fairly? * Abusers can be both male or female, and so can their victims. In this blog, I portray the abuser as male and the victim as female.